Classified rates - $5.75 per word, 15 word minimum. For more information write, call or fax: American Woodworker, Diane Wallhillich. 33 East Minor Street. Emmaus, PA 18098, (610) 967-8123. Fax: (610) 967-7692. 300-1,200 YR. OLD REDWOOD & FIR. Ecologically conscious custom lumber, timbers, poles, blocks & veneers. Pinocchio's, 18651 Hare Ck. Terr., Fort Bragg. CA 95437. Monroe Robinson: (707) 937-2825; Roger Moore: (707) 964-6272. Seasoned osagc and hickory. SASE. Backwoods Osage Staves, Rte. 5. Box 280, Mc. Vernon, IL 62864. WHITE CEDAR. CHERRY, Bird's-eye & curly maple; plus burls for turners. in. - 2 in. thick; planed 2 sides; ripped 2 edges. 100% guaranteed. Send for HREF, catalog. Hartford Woodworks. Box 4IB. Blaine. ME 04734. (207)425-2911. SAVE $S! WOODTURNERS, box makers, and pen turners. We specialize in figured, maple, walnut and myrtlewood. Best prices around. FREE catalog. Central Valley Wood Products, (8()0) 353-7999. WIDE QUARTERSAWN white 6c red oak. lumber & flooring. Plus figured lumber. Talarico Hardwoods. RD «3. Box 3268. Mohnton. PA. (610) 775-0400. FANTASTIC INVENTORY—Logs, lumber, turning blanks, instrument woods. Catalog S2. Cilmer Wood Co., 2211 NW St. Helens Rd., Portland, OR 97210. (503) 274-1271. RARE WORMY CHESTNUT— Limited supply. 4/4, 6 in. - 18 in. wide. The Framing House, 345 Shady Grove. Pickens. SC 29671. (803) 878-3024. QUILTED. CURLY, burl, spalted— maple—boards, blocks, flooring. 25 bf shorts special, shipping included— figured $110; plain $80. Randle Woods. Box 96, Randle, WA. (800) 845-8042. TUCKAWAY TIMBER CO. in Lyme. NH offers dear white pine up to 24 in. wide and quality native hardwoods including wide butternut, carving stock, burls, figured maples and birches. Call for FREE price list: (603) 795-4534. Curly cherry, walnut, figured mahogany and tiger maple. Highly figured Cbro walnut in matched sets for fine furniture and in flitches up to 54 in. wide by 13 ft. long. Norman Hughes. 1627 New London Rd.. Landcnbcrg, PA 19350. (610) 274-8842. 20BF BULK PACKS of selected lumber: White oak 51.95/bf; Red oak $2.15/bf: Cherry $2.35/bf. Additional species. FREE catalog. Visa or Mastercard. Badger I lardwoods of WI Ltd.. N15I7 Hwy. 14. Ste. AW534. Walworth, Wl 53184. (800) 252-2373. SAWMILL DIRECT managed forest exotics at the right price. Over 70 quality specics, including cocobolo. bocote, ebony, pink ivory, figured maples and mahoganies, Large inventory of lumber, turning stock, logs, slabs, billets. SASE Tropical Exotic Hardwoods. Box 1806. Carlsbad, CA 92018. Visa/MC Mitch Talcovc. (619) 434-3030. Windsor chairs. Oak, maple. Steam-bent backs. FREE brochure. Heritage Woodworks. (800) 490-7722.
in. to 2 in. thick. We cater to you. FREE catalog: Croflwood Mills, RD «1. Box 14C, Driftwood. PA 15832. (814) 546-2532. CALIFORNIA'S FINEST QUALITY burls: Redwood lace, maples, buckeye, walnut, madrone. manzanita, myrtle-wood. etc. Direct. All uses. Call BuH Tree: (800) 785-BURL (2875). TIGER & BIRD'S-EYE MAPLE, flame birch, curly cherry—Sandy Pond Hardwoods Inc. has been supplying the finest lumber available to furniture makers since 1986. Hand selected to meet your specific needs. Call us at (800) 546-9663. WOODWORKER S 1995 catalog containing wooden toy parts, whirligigs, clocks and parts, chair cane, lamp parts, tools, finishing materials, hardware, plans, etc. Send $1. Barap Specialties. AW0395, 835 Bellows, Frankfort, MI 49635. CHAIR SEATING & BASKET-WEAVING supplies. Large variety, including Shaker tape, cane, books, tools, more. Retail. Wholesale. Catalog $2. Royalwood Ltd., 517-AW. Woodville Rd.. Mansfield. OH 44907. (800) 526-1630. Fax (419) 526-1618. QUALITY GERMAN WORKBENCHES at factory outlet prices. Diefcnbach Benches, Box 370043, Denver, CO 80237. (800) 32-BENCH. (800) 322-3624. HAND-FORGED CHISELS, knives and custom work. Catalog $1. Cape Forge. Box 987. Burlington, VT. 05402-0987. SHARP JAPANESE TOOLS SINCE 1888. Free ZETA™ saw catalog. Tashiro's, 2939 4th Ave. S., Seattle WA 98134. (206) 621-0199. Fax (206) 621-0157. CONTROL WOOD DUST in your shop for less than $58. Send SASE plus $5.95 CK/MO for plans & material list: Steele Enterprises, P.O. Box 206, Catena. Al. 35040. SWITCH YOUR DUST COLLECTOR from any location in your workshop with a pocket transmitter. Call Fcrnbrook: (704) 524-6125. DUST COLLECTION for small shops. Send SASE for description and catalog. F. Weiss, Box 3195. Ashland. OR 97520. FOUR 50% SAVINGS certificates w/ catalog $2, refundable. Country, patio, butcher-block furniture, gardening projects and more. WoodTcch, P.O. Box 1I2B, Port Edwards, WI 54469. CURIO CABINET— Beautifully proportioned detailed plans. $9 (S&H included). Send dtcck or money order Al Hartling, P.O. Box 474, Simi Valley, CA 93062. PICNIC BENCHES: computcr-gen-cratcd plans, full-size blueprints. 4 styles included, $9.95. Lawnware Corporation, P.O. Box 404AW. Clayton. NJ 08312. MUZZLELOADING RIFLE KITS: Assemble your own Pennsylvania or Kentucky rifle. 1861. 1863 Springfield, Brown Bess. Charleville. or other muzzleloading rifles with one of our kits. Order the GIANT 600-pg. Dixie Gun Works catalog today! Send $5 or $8.50 COD to: Dixie Gun Works, Dept. AW, P.O. Box 130, Union City. TN 38261. Or call: (901)885-0700. ADVANCED SCROLL SAW PATTERNS: $1 for Brochure *C" Nelson Designs. P.O. Box 422, Dublin. NH 03444. SUPER WOODCRAFT PATTERNS: Windmills, wells, vanes, birdhouses, feeders, weather vanes, whirligigs, jigsawing. Dozens more. Catalog $1. Crafters Delight, Box 368-M. Carson City. MI 48811. FULL-SIZE PROFESSIONAL PLANS, catalog $3. 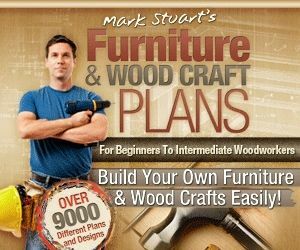 Over 200 professionally designed plans for building fine furniture. Furniture Designs Inc.. CN-35. 1827 Elmdale Ave.. Glen view, 11.60025.
gifts. Save 10% on first order of screws, hinges, glues and more! Professional Discount Hardware: (800)248-1919.
locate information for better use of leading woodworking magazines. Yearly updates. DOS, Windows, $54.45. Printed version, $24.95 FREE brochure. Woodfind, Box 2703L, Lynnwood, WA 98036. GUITAR, BANJO, MANDOLIN— and violin building materials. Repaii tools, replacement parts, tone woods and finishing supplies. 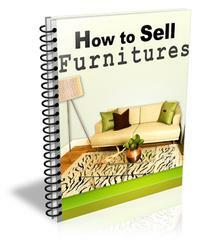 FREE 104 page catalog. Stewart MacDonald's Guitar Shop Supplv. Box 900WV Athens, OH 45701. (800) 848-2273. HIDE GLUE: All grades, includinj wood sizing and glass chipping. Bjon Industries Inc., 551 King Edwarc Rd., Charlotte, NC 28211. (704 364-1186. SPRAY-ON SUEDE. Free brochun and sample. New Mini-Flocker Donjer Products. Ilene Ct.. Buildinj 8A. Bellemead. NJ 08502. (800 336-6537. WOODTURNING instruction sine 1976. My shop or yours. Myfor< lathes. Russ Zimmerman, RD3 Putney, VT 05346. (802) 387-4337. COUNTERTOPS: Repair WITH-OUT REPLACEMENT! Quick, easy to S600/day change countcrtop colors WITHOUT REMODELING! Write today to: Renew-All, Box 4506-AW51. Vancouver. WA 98682. (206) 256-9742. WOODWORKING GUILDS. For a FREE list of the guilds and clubs in your area, write to: Guild Central. American Woodworker. 33 E. Minor St.. Emmaus, PA 18098. NEED A SPEAKER? 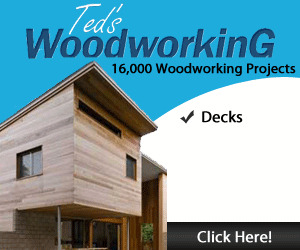 American Woodworker has compiled a database of top woodworking professionals who can speak to your group. 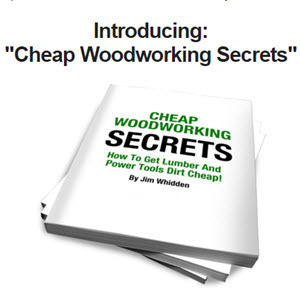 For a FREE copy, write to: american Woodworker, 33 E. Minor St., Emmaus, PA 18098.